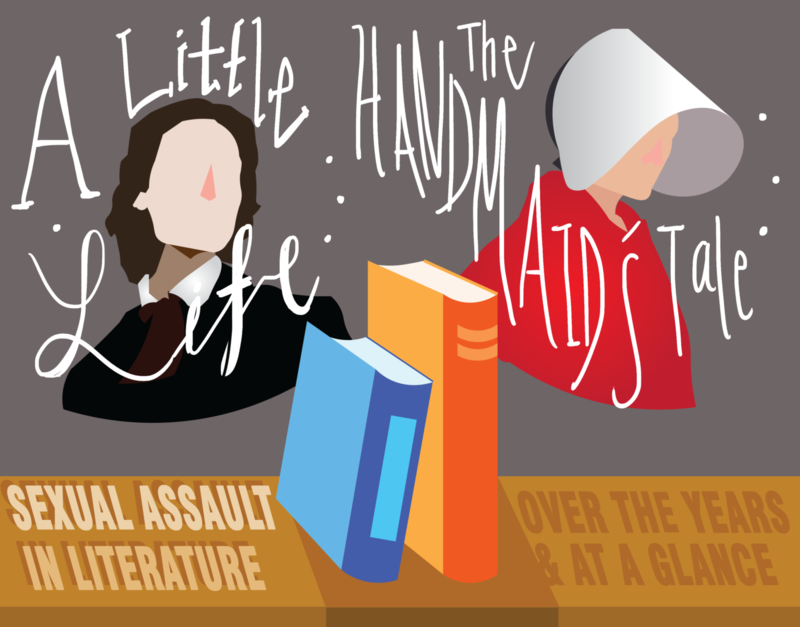 Acclaimed novels A Little Life by Hanya Yanagihara and The Handmaid’s Tale by Margaret Atwood depict instances of sexual assault. Literary authors have made progress in representing these issues in spite of social taboos. Graphic by Kelly Wei. It is uncomfortable, sensitive and difficult to talk about in everyday life, but in the end, it is real and we as a society need to talk about it. Sexual harassment and assault is a topic that has become widespread across all forms of media including books over the last few months, even years, and it needs to be acknowledged no matter how tough or awkward it may feel. According to statistics from RAINN, someone is sexually assaulted every 98 seconds in the United States. Every eight minutes, the victim of sexual assault is a child. 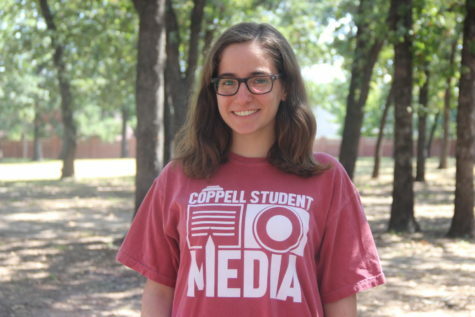 “Even if it’s uncomfortable, it’s something that needs to be mentioned and we would be lying to students if we were saying that these things don’t happen in the real world,” Coppell High School English teacher Stephanie Ball said. 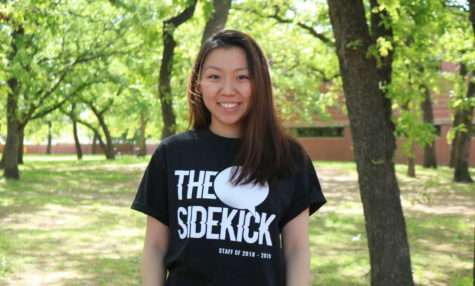 From global social media movements such as #MeToo to nationally televised events such as ‘Time’s Up’ at the 2018 Golden Globes, women and men are making their voices heard and sharing their stories to provide hope to those who have been through similar experiences and raise awareness for those that may not be very well-versed in the topic. But before there were methods of communication such as cell phones and the Internet, people shared their stories in other ways, namely through literature. Though now there are other means of communication of ideas and issues, portrayals of sexual assault and harassment in novels continue to infiltrate book stores, and have changed vastly over the years, spreading even more awareness about this worldwide issue. In novels such as The Handmaid’s Tale (1985) by Margaret Atwood and A Little Life (2015) by Hanya Yanagihara, sexual assault is prevalent as a major theme, but both portray it in a unique way. In The Handmaid’s Tale, readers are exposed to an oppressive and ruthless society in which women are used for reproductive purposes and disregarded completely when it comes to anything else. Essentially, women are raped by the males that are highly ranked in their society and are given very little power in the grand scheme of things. The main character, Offred, eventually begins to fight back against her oppressors alongside other Handmaids and she is filled with hope and resilience amongst the dark, daunting story she tells. A Little Life follows four young boys starting from their time in college. Jude, Willem, JB and Malcolm are best friends and all become wildly successful in the fields they dedicate their lives to. All of them are very close with each other, but Jude is quiet about his past and far more reserved than all of the others. Jude ends up becoming the main focus of the novel, and over time, his past is revealed in pieces that flow with the story that is being told in the present. As an orphan who was kidnapped and forced into prostitution as a young boy and then abused by people he placed his complete trust in, Jude is hesitant to tell others about his sorrowful past. His story is one filled with anguish and overbearing sadness more explicit and raw in its content matter than The Handmaid’s Tale. The Handmaid’s Tale and A Little Life are both very unique and deal with dozens of other issues in their respective novels, but neither sugarcoat sexual assault. When Atwood wrote The Handmaid’s Tale, she took many risks and wrote about something that was considered taboo back in 1985. Yanagihara still took risks, but all of hers were taken in order to make Jude’s struggles as personal and real as she could have made them. These novels are just two among the thousands of novels that portray assault and abuse in some manner. Their purposes are to inform their readers and allow them to see that these things do happen in day-to-day life. Not only that, but they provide voices to readers that may not be prepared to use their own, showing them that they are not and never will be alone in their struggles and experiences. By speaking up and raising awareness about sexual harassment and assault, people are teaching the next generation how to handle difficult situations and how to respect the wishes of others. With books that teach tough and painful lessons, readers are becoming more compassionate and aware of the issues that take place around them every day. Solid work on this article, Jess. I’m glad to see you followed your idea and covered a wide range of literature. You guys are doing important work on this issue. Keep it up!